When Said bin Taimur became Sultan in 1932 he inherited from his father, Taimur bin Faisal, a state heavily in debt and dependent on British military power to prevent its overthrow by tribes from the mountainous interior. The situation was so desperate that the British began closely supervising the Sultanate’s finances, culminating in the appointment of Bertram Thomas in 1925 as Financial Adviser and leader of the Council of Ministers, which ruled in Taimur bin Faisal’s frequent absences. British officials fervently hoped for a sultan who could reduce the financial burden of the Sultanate on the Government of India. This instability was underlined by the presence of another, unifying authority in the interior. In 1920, the British Political Agent A mid-ranking political representative (equivalent to a Consul) from the diplomatic corps of the Government of India or one of its subordinate provincial governments, in charge of a Political Agency. , R. L. Wingate, had brokered the Treaty of Sib, which recognised the Imam as the de facto authority in the mountains, leaving Sultanate territory largely confined to Muscat on the coastal region. Even before becoming Sultan, Said bin Taimur took a far more active role in government than his father, who preferred the life of a gentleman in India and had pleaded for many years with the British to be allowed to abdicate. When Said bin Taimur became President of the Council of Ministers in 1929, he immediately identified one reason for the paucity of funds; the non-payment of customs duties. Together with Captain R. G. Alban, British Political Agent A mid-ranking political representative (equivalent to a Consul) from the diplomatic corps of the Government of India or one of its subordinate provincial governments, in charge of a Political Agency. at Muscat, he visited the town of Sur where the Bani Bu Ali tribe were refusing to pay customs duties to the Muscat state. As a result, Said bin Taimur sought to gain British support for action against the Bani Bu Ali at the village of al-Aiqa near Sur. I am sure that you are now convinced that these subjects will never obey our Government’s orders if no force is used and if they are not punished the situation will be worse and rather encourage other subjects to rebel. The people of Sur are now all awaiting the result of this incident. I request H.B.M.’s Government to extend their assistance as in the past; their favours are never forgotten and we are certain that they desire nothing but the welfare of our state. Said bin Taimur wanted to use British military power to enforce his authority and increase his financial dues. For their part, the British were hopeful that he could turn round the economic situation yet still be responsive to their advice. Following the departure of Bertram Thomas and his successor S. E. Hedgecock in 1931, Said bin Taimur took up the financial management of the Sultanate himself and refused any further British appointee. On reaching the age of twenty one in 1932, Said bin Taimur became Sultan and abolished the Council of Ministers. He immediately cut the allowances of various members of the royal family in order to put the Sultanate on a sounder financial basis. But his attempts to balance the budget were hindered by the worldwide Great Depression, which had followed on from the Wall Street Crash of 1929 and the revenues of the Sultanate continued to dwindle throughout the 1930s. Nevertheless, through his stringent economising the State of Muscat was debt-free by the 1940s. Said bin Taimur was keenly interested in all possible ways of increasing revenues. Following the discovery of oil in Bahrain in 1932, the renewed British interest in oil exploration provided a financial lifeline. In 1937, he signed an oil concession agreement for the Sultanate and a separate one for the province of Dhofar, which he treated as his personal domain because his private estate, where he resided in his seaside palace, was at Salalah. 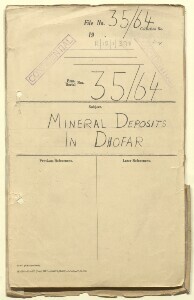 In 1946, he requested a geologist’s report on the Dhofar region to further assess its economic potential including the possibilities of extracting coal and oil. 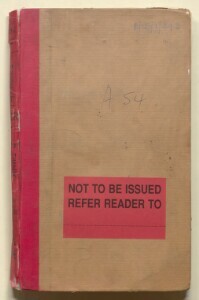 A renewed hope of gaining revenue from oil came with the recommencement of prospecting in the 1950s following its suspension during the Second World War. The imposition of Sultanate authority allowed the search for oil to take place in seemingly promising geological structures around Fahud in 1956 but without success. Always mindful of the Sultanate’s parlous finances, on his accession to power he refused to sanction development projects until funds for the entire project were in hand. This led to a growing perception, especially within his own population as well as amongst certain British officials, that he was reluctant to allow for development and obstinate in refusing British advice. In 1964, oil was discovered in the interior at Fahud only two hundred metres from the first oil drills. Following the first exports in 1967, Said bin Taimur had a notice posted on the gates of Muscat as explanation of his caution approach. Entitled ‘The word of Sultan Said bin Taimur, Sultan of Muscat and Oman about the history of the financial position of the Sultanate in the past and the hopes for the future, after the export of oil’, it was the only statement he ever made to his public to account for his approach to financial policy. Furthermore, with British military assistance Sultan Said bin Taimur was able to reunify the coast and interior, afterwards driving in a convoy from Dhofar to Nizwa, in the interior, in 1954 as a show of his authority. Following this, he retreated to Dhofar, never to return to Muscat or the interior again. Ironically, it was a rebellion in Dhofar, where his presence and petty restrictions were felt most keenly by the population that ultimately ended his rule. Britain, concerned that his overthrow would place British influence in the country in jeopardy, supported his Sandhurst-educated son Qaboos to remove him in a palace coup in 1970. He was flown out from RAF Salalah to Bahrain and from there to London where he lived out his last years in the Dorchester Hotel.